In Kolkata, the 21st Annual কলাকার পুরস্কার (Kalakar Awards) for excellence in Bollywood and Tollywood (West Bengal) took place at the Science City auditorium. The ceremony was hosted by Shakil Ansari and television actress Sweta Tiwari. 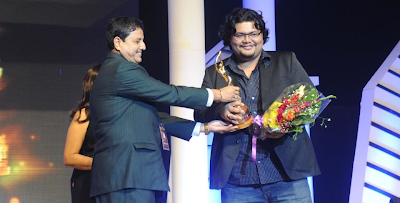 The top winner of the night was Pratim D. Gupta's debut film Paanch Adhyay (Afterglow). It was named Best Movie (Tollywood) and its star Priyanshu Chatterjee won a Best Actor award. The film is a contemporary love story about the ups and downs of a married couple. The Best Movie (Bollywood) Award went to the action film Ek Tha Tiger by Kabir Khan. It became the second highest-grossing Bollywood film of all time. Shirin Farhad Ki Toh Nikal Padi was the only other film with more than a single prize. It won a Best Actor award (Boman Irani) as well as a Best Debut Actress award (Farah Khan). A Lifetime Achievement Award was presented to the 93-year-old danseuse Amala Shankar, widow of Uday Shankar and sister-in-law to the late Ravi Shankar. Special Awards were also given to Anil Ganguly and Prem Chopra. Winners were selected by a jury of film professionals including filmmaker Goutam Ghosh.